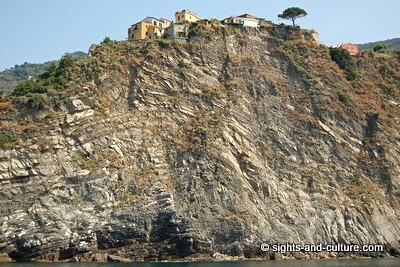 Over centuries, people have built terraces for their houses and vineyards on the rugged, steep coast right up to the cliffs. 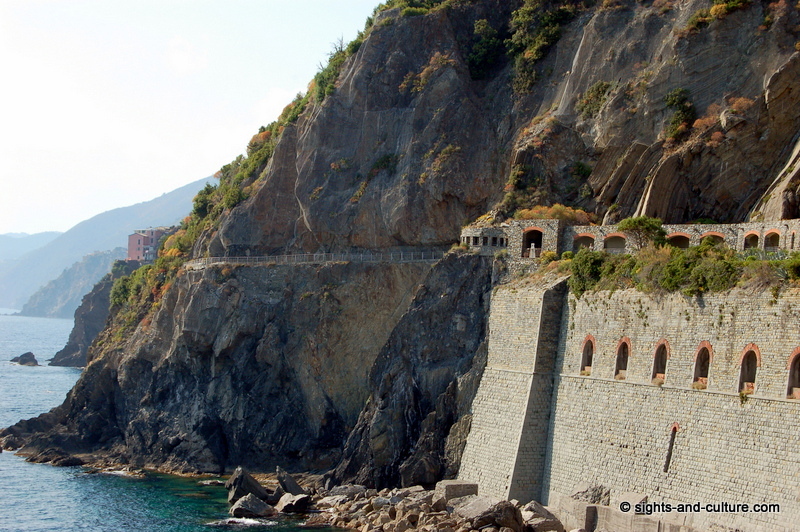 It's well worth exploring some of the higher paths to enjoy the breathtaking views of the sea and the countryside. 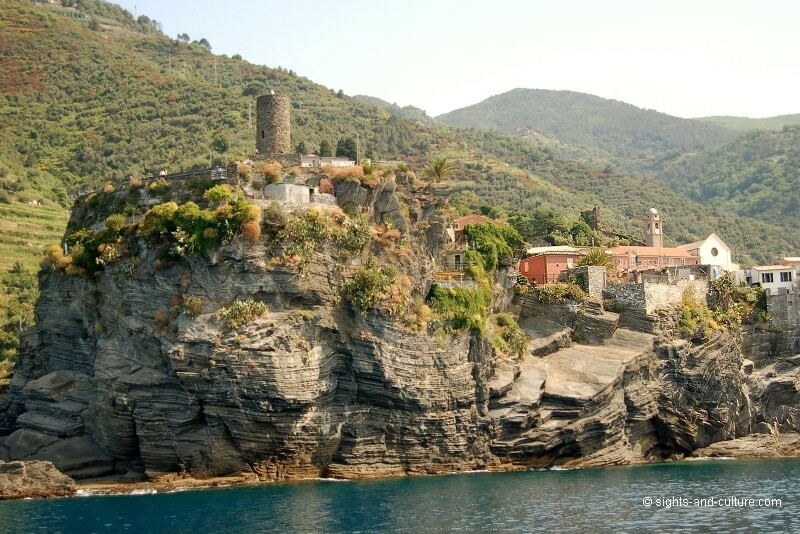 Especially enchanting is the view of the tiny harbours with their small castles, which were built to protect the villages from pirates. 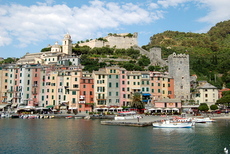 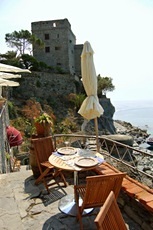 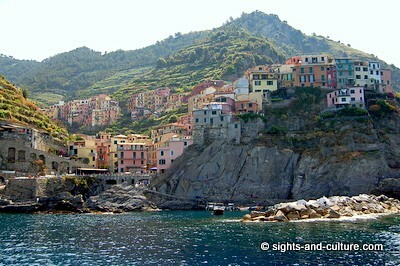 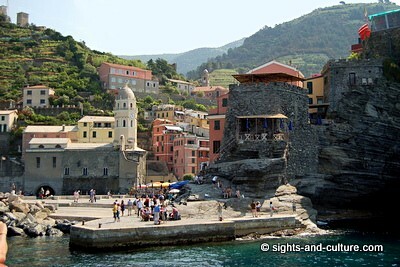 Monterosso al Mare , Vernazza, Corniglia, Manarola and Riomaggiore. 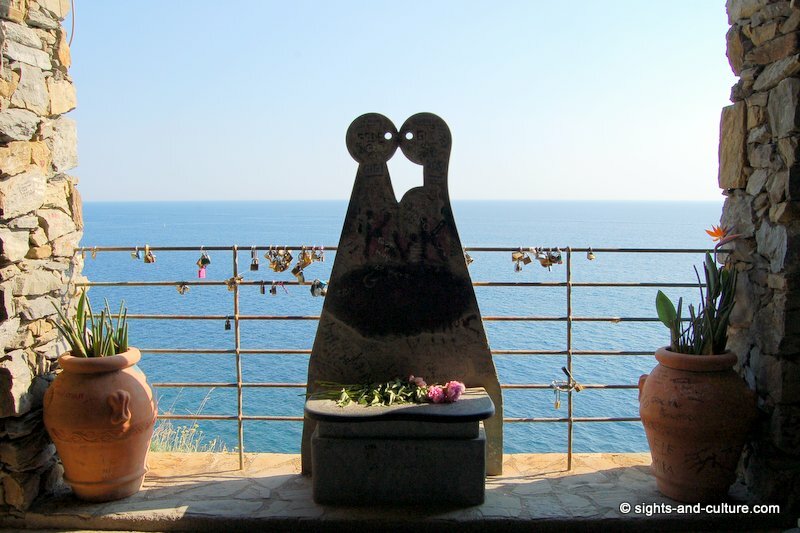 "Via dell' Amore", the Way of Love. 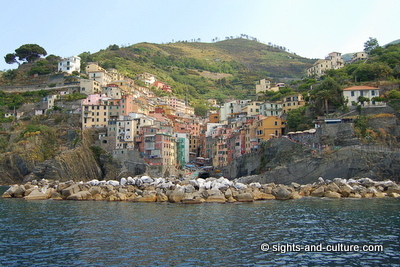 Lined with an abundance of exotic plants, it meanders along the steep coast, leads through brick-lined arcades and over and over again offers breathtaking views of the rocky coastline. 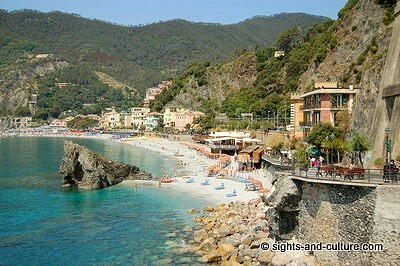 It is one of the greatest tourist attractions in the National Park. You can explore the area by boat (April until Oct.) or by train (no cars in the National Park!). 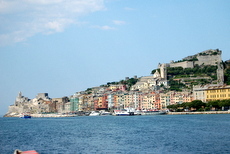 Both run between the five villages in each direction 1-2 times an hour during the day and stop at every town (boat doesn't stop at Corniglia, as there is no access from the sea). In order to walk along the trails between the villages, one must purchase a pass, available also in combination with the train ticket (Hop-on Hop-off). 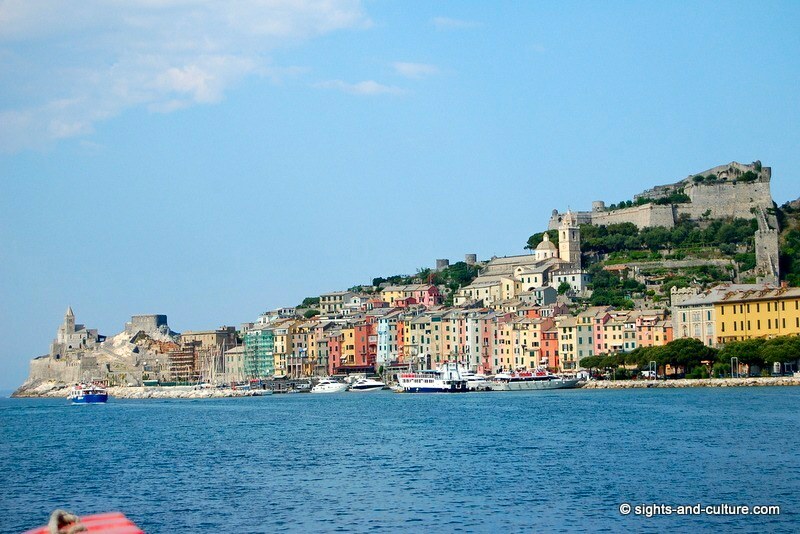 Coming from Lerici, we decided, at first to sail along the Cinque Terre coast without break and then, on our way back, to visit the towns by train. 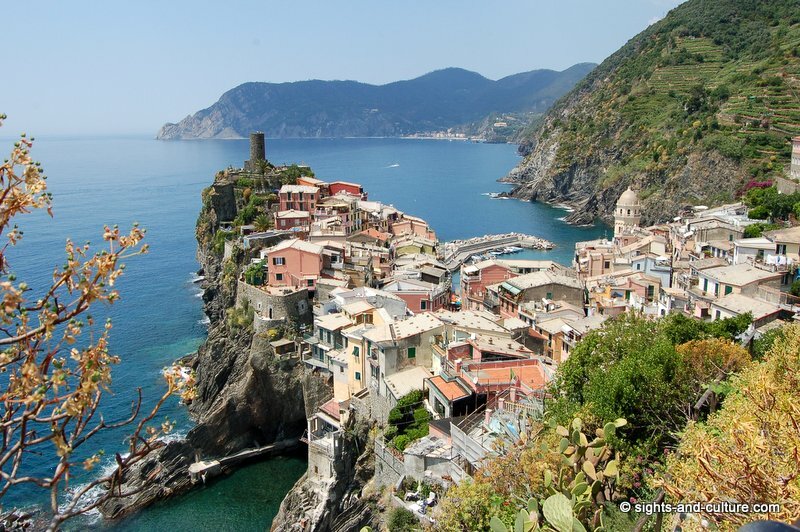 So we got a complete impression of the intriguing coastline and after that managed to stroll through the small towns leisurely as well as to climb up some view points. 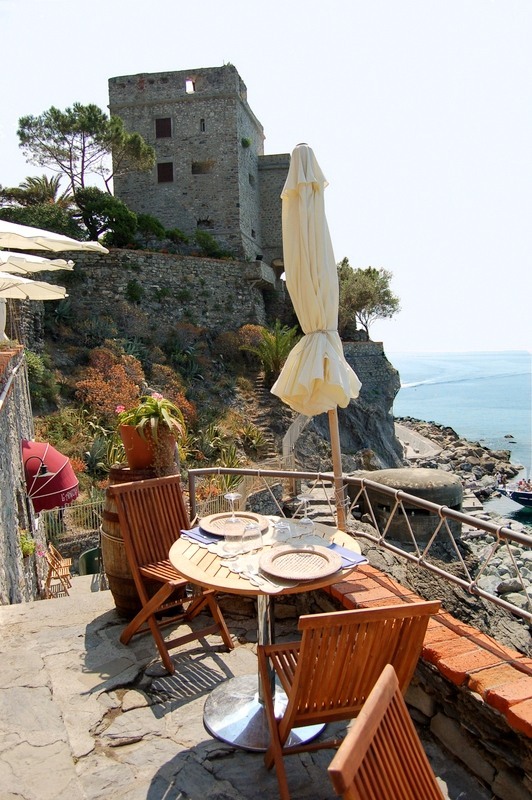 In case you intend to book any accommodation at one of the villages, check carefully on how to get there. 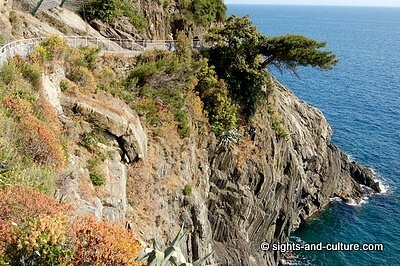 We watched several tourists, as they carried their luggage up the steep stairways - no fun at all! 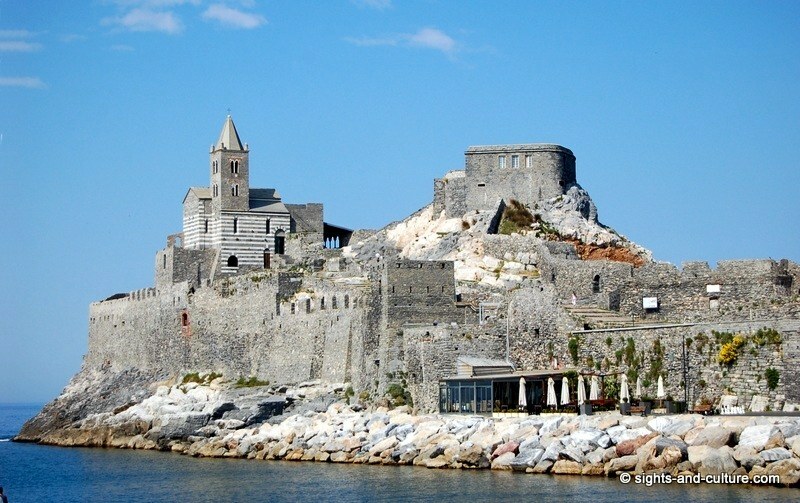 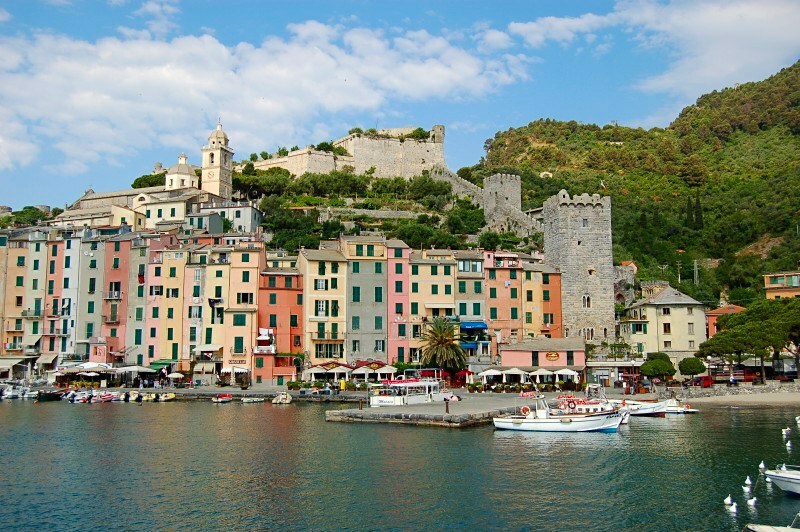 Some miles more southerly, also on the Ligurian coast, is Porto Venere (former Portovenere), another small town and commune, which is also on the UNESCO World Heritage list.